They (witnesses) may not speak loudly about their plight, but simply undergo the agony and at times, curse the concerned, the Court observed. 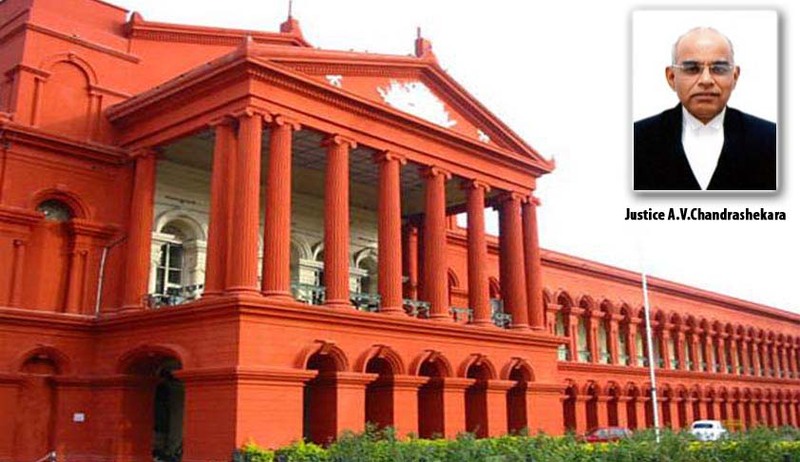 In a significant judgment, the Karnataka High Court has emphasized on the need of hold ‘Pre-Trial Conference’effectively held to thrash out many unexpected situations during the trial, well in advance. Justice A.V.Chandrashekara observed that Pre-Trial Conference’ should not be a mere formality, but a useful exercise as a step in aid to hold trial as mandated in Section 309, CrPC. The Court said that Pre-trial Conference’ will have to be held consisting of presiding officer, public prosecutors, accused, advocate for the accused, and the concerned responsible police officer like inspector or sub inspector of the concerned police station. In such a conference, the public prosecutor will come with thorough preparation about the list of prosecution witnesses he wishes to examine and the approximate time for examining them with particular reference to the dates. The courts must ensure that the witnesses intended to be examined by the prosecutor would be available on the specified dates they are expected to appear. If a witness is examined in chief on one day and asked to come for cross-examination on the next day or some other date, chances of him/her being threatened or lured or won over cannot be ruled out. It is not uncommon that in criminal cases, such tactics are adopted either to threaten or lure the witnesses or to win over them. If it is allowed to happen, it would be a travesty of justice. If a witness is present in the court, he/she must be examined on that day itself. The court should know that most of the witnesses would attend court at great cost and inconvenience, that too, after keeping aside their avocation and probably they would suffer loss of income. If the witnesses who are called through summons or other process and stand at the doorstep from morning and then only to be told that the case was adjourned to another day, it would cause lot of injustice and inconvenience to them. Courts should ensure the presence of the witnesses on the dayappointed to examine them and except for genuine and extremely unavoidable circumstances, they should not be sent back without being examined. Adjournments should not be granted except for strong and reasonable grounds and when it becomes unavoidable for pressing circumstances. When child witnesses will appear before the court to give their evidence, the Presiding Officer must have thorough knowledge of the relevant provisions of the Indian Oaths Act. Whenever a child or a woman come as witness to the court, they must be treated courteously. The criminal court must ensure that the witnesses are paid the prescribed TA and DA as per rules on the same day and the prosecution is expected to assist the court in this regard. If for any reason the presiding officer and/or the prosecutor is proceeding on leave for compelling reasons on the date(s) fixed for trial, the witnesses must be duly intimated well in advance about the postponement. It need not be reiterated that the police officers, especially those who have conducted investigation, must necessarily attend the courts on the date fixed for their examination. The superior officers must take all steps to see that the concerned officer is granted permission to attend court on the appointed date. They should not give room for the court to take action against such officers as per Section 166A, CrPC. If the investigating officer collects contact details like mobile number or email address of witnesses in their record so that a message can be communicated to them in the event of postponement of a case suddenly, and also intimating the next date of their examination. This would avoid greater inconvenience to the witnesses and they would prepare themselves to come to the court on the next appointed day. As already directed by the Hon’ble apex court, the Karnataka Judicial Academy to take all steps to effectively sensitize all the judicial officers holding criminal trials as per the mandate of Section 309, CrPC. A list of important decisions dealing with Section 309, CrPC. be made available to all the judicial officers. Whenever principal District Judges’ conference/Review Meeting of the judicial officers working in the unit, the importance of complying with the mandate of Section 309, CrPC., in the light of the decision of the Hon’ble apex court in the case of VINOD KUMAR .v. STATE OF PUNJAB ( 3 SCC 220) be emphasized. If possible, the learned principal district judges to monitor as to whether the learned JMFCs in the unit would hold the trial after an effective ‘Pre-Trial Conference’ of two stakeholders mentioned is effectively convened. Circulate a copy of this judgment to all the judicial officers in the State, Karnataka Judicial Academy and the Director, Department of Prosecutions.